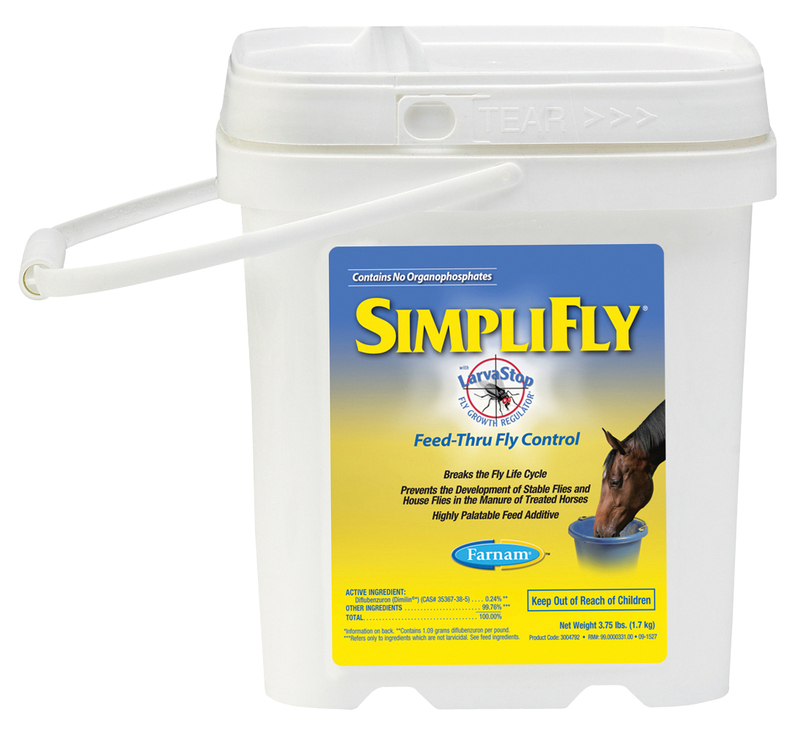 Farnam SimpliFly with LarvaStop™ is a palatable feed additive which halps to prevent the development of house and stable flies in the manure of horses. It prevents the formation of larvae which results in their death. It is a reduced risk pesticide and can be used as part of a pest management program. Diflubenzuron (0.24%), Wheat Middlings, Dehydrated Alfalfa Meal; Calcium Carbonate, Sodium Chloride, Calcium Propionate (preservative). each additional 200 lbs. of body weight.. There are currently no questions for Farnam SimpliFly for Horses - be the first to ask one!